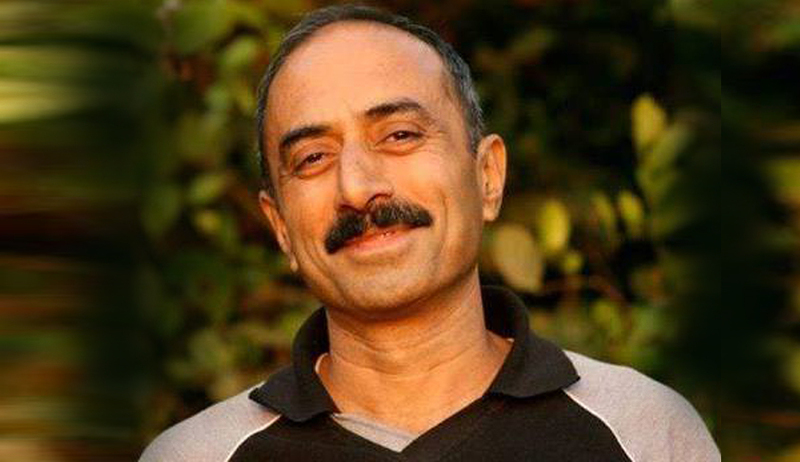 Supreme Court of India today dismissed a plea filed by sacked IPS officer Sanjiv Bhatt for making BJP President Amit Shah a party in his plea seeking probe into role of senior BJP and RSS functionaries in the 2002 post-Godhra riots. A bench of Chief Justice H L Dattu and Justice Arun Mishra noted that the Special Investigation Team appointed by it had given a clean chit to senior BJP and RSS functionaries mentioned by Bhatt in his petitions after investigating similar charges made by Jakia Jafri, whose husband and former Congress MP Ehsan Jafri was killed by rioters. It was double setback for Bhatt as the bench not only rejected his plea for probe by a SC-monitored SIT into a slew of “motivated” FIRs against him, but also lifted the stay of his trial in two cases relating to coercing a witness and hacking the then BJP-led government’s email account. “Since there was interim stay, as charge-sheet has been filed , let trial court proceed further in accordance with law, and be made expeditiously in accordance with law”, the court said. The Apex Court questioned Bhatt’s claim that he was present at a meeting to discuss law and order situation during the riots at Narendra Modi’s residence (then CM) and “was witness to what was happening” saying “the petitioner appears to have been brought at the scene at the fag end of the trial by the rival political parties, activists and other vested interest groups. An activist has filed an application for being impleaded as respondent. While petitioner was in connivance and constant consultation with the adversary political party and vested interest groups, he has no explanation to keep quiet for nine years as to the meeting dated 27.2.2002”. The bench also gave a clean chit to Additional Solicitor General Tushar Mehta (then Additional Advocate General of Gujarat Government) who has been accused of trying to save several accused by handing over copies of the confidential SIT report. Rejecting the trail of emails furnished by Bhatt accusing Mehta of “illegally leaking information”, the bench said it does not appear that the e-mail exchange between the then AAG and other functionaries tantamounts to causing prejudice or amounts to substantial interference in any other manner in due course of justice. It is not the case of scandalizing the court or in any manner affecting fair decision of the court or undermining the majesty of the Court/people’s confidence in the administration of justice or bringing or tending to bring the court into disrepute or disrespect which tantamount to criminal contempt under section 2(c)(iii) of the Contempt of Courts Act”. Bhatt’s lawyer had contended that there was “criminal nexus” between Mehta and lawyers of the accused, Ministers and non-State actors to undermine the administration of justice. Bhatt had moved the SC four year ago accusing the then Modi government of attempting to blunt his untiring efforts to expose the state’s role in fanning the riots by lodging an inspired FIR against him in 2011 accusing him of forcing a government servant to give false evidence to establish his presence during a high-level meeting called by the then CM to discuss the riots. Bhatt moved the fresh application requesting the Supreme Court to add Shah and Gurumurthy as parties in his petition as they were “part of the larger design to subvert the course of justice”, both before the SC and the trial court in the riot cases.